Dandruff is unpleasant disease which brings excessive exfoliation of skin cell particles. This is a quite common problem among men and women, however, men are more often facing it than women. According to various indicators the dandruff is a disease which affects from 5 to 45% of people on the planet. Basically cells of the scalp, which lost moisture, are dying one by one. Disease is not dangerous, but brings in our everyday life a lot of discomfort. Reasons are usually consequences of some irregularities in organs of our body. If we will correct such irregularities the problem will disappear. Oils are used everywhere. You can read each and every cosmetics description and you will see that they for sure listed some essential oil there. The reason for that is that essential oils are source of all possible vitamins our hair needs. Warm up a bit of olive oil (two or three tablespoons is enough). Massage oil into your scalp gently. Cover head with paper bag (plastic cap) so that oily hair will not spoil your bed. Additionally use towels. 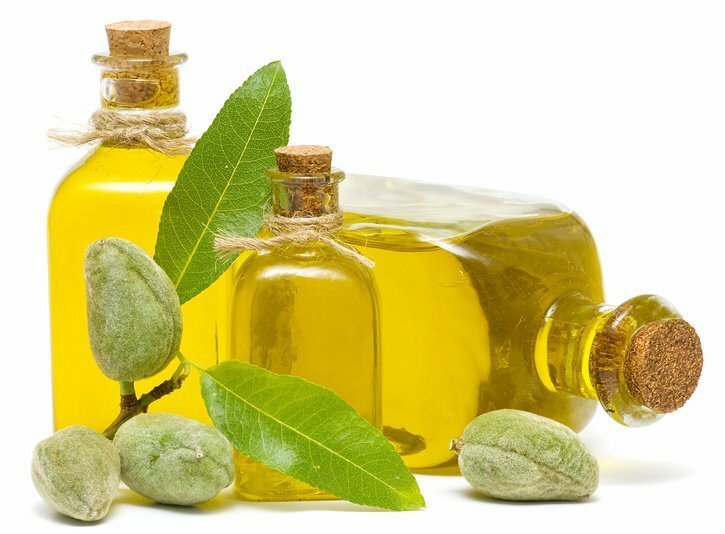 Leave olive oil on your head for the whole night. Wash your hair only in the morning. Such recipe is very easy but very effective. Warm olive oil will become your best friend since first try. One more solution is eucalyptus oil. Buy good quality eucalyptus essential oil. Bottle will be dark and small. Add 1ml of eucalyptus oil to 100 ml of your shampoo or balm for hair. Add 5-10 drops to 1 teaspoon of your shampoo and wash hair regularly. Eucalyptus is great, helps in the treatment of dandruff, seborrhea and ringworm of the scalp. Burdock oil is the oil which is extremely good and available solution against dandruff. Burdock oil is so known all over the world and became a “grandma’s recipe”. Get ready for the procedure and make sure you have at least 1 whole free hour. Burdock oil should be warmed up. You will need few tablespoons of oil. Massage your head and apply burdock oil on your scalp. Wrap your head with plastic, cover everything with the towel. Wash oil with shampoo in one hour. In case of huge amount of dandruff you can use procedure up to 3 times a week. Otherwise use it two times or three in two weeks. After 1,5 – 2 month of regular use of this method you should take a short break (for approximately 2-3 weeks) and again continue the course of procedures. In case you experience dry dandruff you can use burdock oil one more way. Add burdock oil into your everyday shampoo. It is not forbidden to add to burdock oil some natural honey. Burdock oil has indeed miraculous properties. This remedy additionally strengthens the hair follicles and activates hair growth. Please do not be surprised when after regular and systematic applying of burdock oil you will need a haircut more often than before the application of this oil. Warning: Do not use oil for women in the first trimester of pregnancy and small children younger than 8 years. Homemade masks are better than any mask you will buy in the shop or beauty store. 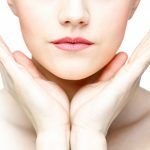 Homemade masks are natural, safe and effective! Mix them together in the bowl and implement on your wet hair. 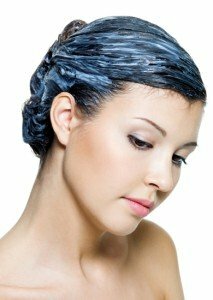 Wear plastic cap on your hair. Wrap a towel and keep mask on your head for 30-40 minutes. Yolk has unpleasant smell and to avoid this yolk smell you can take off transparent membrane from it. Yolk gives hair and skin of scalp vitamins together with additional strengthening of follicles. Take 4 table spoons of olive oil and juice of half of one lemon. Mix it in the bowl and put it on the steam to make mixture warm. Implement mask with massaging movements and leave it on the hair for 1 hour. Such mask will help for people who faced really bad luck and experience huge amount of dandruff. Some people just cannot stand it on the skin. In such case just wash it off and try different mask. Take fresh basil leaves; grind them to the consistency of paste. Apply the product on the skin of the head and leave it for half an hour. Wash the hair under warm water. Basil is great solution because it is easy to find on store shelves. Additionally it helps from bacteria and fungi. Take one egg yolk, 2 tablespoons of chopped onions (green) and two tablespoons of good quality raw honey. Everything should be mixed properly. Implement mask on the hair (on the roots) for about 10 minutes with light and gentle movements. Wear special protective plastic cap and wrap any towel. Keep a honey mask on hair for one hour. Rinse after the mask your hair with water or shampoo. Please make sure that all the ingredients are properly mixed. Add first green onions and yolk and in the end add honey. Honey will give nutrition and moisture to your over dry skin cells. Warning: Masks should not be implemented on the regular basis. Treat your hair two-three times during two weeks. It is not a surprise that bad habits like smoking and alcohol influence all the way our health. What is also interesting is that some our everyday habits which are not dangerous at all or seem normal actions can influence our health and even support creation of dandruff. Let’s analyze our habits and create new if we need to. Wash your hair with warm water; wash it gently. Remember that there is no need to make too much of effort while washing, acting too actively you just “activate” the sebaceous glands, and they begin to secrete fat actively. Hard soap is recommended to be used instead of shampoo. The base of this product includes saturated fatty acids, which are perfectly for moisturizing of each hair. It is believed that the soap helps to get rid of dandruff quickly and restore damaged and dry hair. 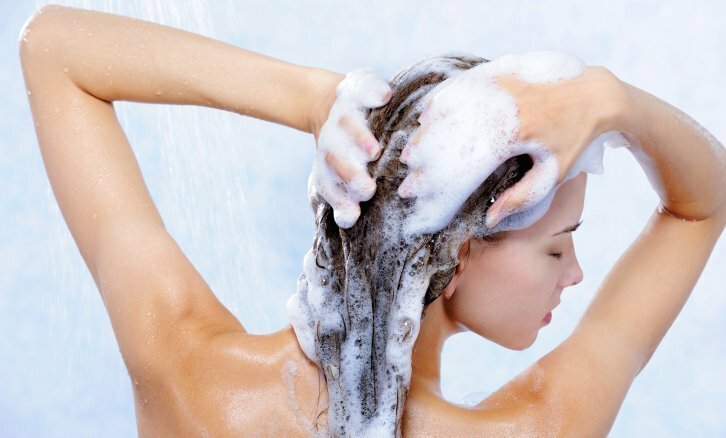 To keep your hair not looking over-dry, wash your hair with hard soap not more than once a week. No need to wash hair with hard soap itself but with pre-prepared soap water. As a preventive method hard soap can be used once every three weeks. Common mistake is there is something wrong with frequent washing of the hair. Generally recommended is that the hair should be washed after noticing first signs of oiliness. Also it is necessary to apply only that shampoo which is designed for frequent or daily use. If you are going to bed you should completely wash from your hair from all possible styling products. The exception is only natural styling. Once you have washed your head try as quickly as possible to remove the towel from your head. In any other conditions, you should remember that the warm environment just creates perfect conditions to develop. We for sure do not need mold on our head! It is better if you dry your hair naturally. If you are used to dry your hair using some specialized tools you need to protect your hair from heat using styling tools. Regular scalp massage can be done at least once a week. In such a way you ensure a good blood supply to your scalp. This massage is especially effective if you apply a special oil mask. Such simple and obvious habits may happen to seem surprising to some of us. Some of us can stay with the wet towel for quite long without knowing damage it does to us. The same is with cosmetics which stay all night and sometimes even few days. You should just analyze the harm and new habits will come to your life immediately. Warning: Dandruff does not come forever. Use these rules and some patience and you will forget you even had it. Try to avoid medicines as they have side effects. Concentrate on your routine and habits. Hair experts extremely recommend this massage for those who want to get rid of dandruff, as well as for treatment of dry hair and split ends. This procedure will also help those whose hair began to get thinner. Start from the back of the head. Using thumbs of both hands which are placed on the neck just below the hairline we at the same time put all the rest fingers behind the ears. The thumbs are touching each other. From this position we slowly move them up while gently pressing surface of the skin. Now we will start doing warm and light movements such as stroking. We implement such movements with our hands without any additional pressure. At this stage the muscles of the head are completely relaxed we feel no stress. Movements become more circular. Our fingers placed on a distance from each other and in such a way we lightly massage the skin. At the same time the thumb gives a support. Pushing movements will be the next step. Such movements soften the skin. Hand position when performing such is the same as for circular movements. The difference is in the style of the movements. After each push our fingers move from one place to another. Let’s concentrate now on massaging our temples. For this purpose we will use just three or four fingers of one hand (right or left, as you prefer). Direction of the movements is one and it is up. Stop when the fingers will be just above the ear. Without releasing the finger of one hand, we repeat the same movements with the other hand. This procedure should be repeated several times. Basically we repeat the same three to five times slowly. Finish the massage with slight strokes along the hair. Duration of the massage is 10-15 minutes and hair experts advise that massage should be implemented before washing the hair. Repeat such procedure no more than twice a week. To prevent any possible problems with healthy hair such massage should be implemented once a week. Warning: Do not make such massage after washing your hair or while hair is wet. Such activity on the head will release fat and hair will look dirty and oily and need washing again. If you find dandruff on your head you do not necessarily need to rush to the dermatologist to solve this problem. Perhaps the solution can give a change in diet. Let’s take a closer look at how to get rid of dandruff by changing diet and what to do for the desired result. Eat foods rich in protein such as chicken, beef, pork and fish. Protein is a substance essential for every cell of the body including the hair. When we do not receive a sufficient amount of protein the organism is not functioning properly. Unfortunately it makes our body unable to form new hair. Make sure you eat eggs every week. Eggs are source of protein, iron, selenium, sulfur, and zinc. Iron is especially important as it helps cells to deliver oxygen to the hair follicles. Other iron-rich foods are chicken, fish, pork and beef. Every day consume nuts and whole grains. It is an excellent source of zinc. Another valuable source of zinc is seafood. Zinc prevents hair loss, especially for men. Salmon, herring, sardines, trout, mackerel, avocado and pumpkin seeds, as they are rich in omega-3, vitamin D and protein bring health to the hair. This combination is necessary for strong and healthy hair. Give preference to leafy vegetables such as broccoli, cabbage, spinach. Listed vegetables contain enough of iron, beta-carotene, folic acid and vitamin C. These nutrients help the hair follicles remain healthy and maintain blood circulation in the scalp. Dairy products should be also consumed. This is another category of products that have a beneficial effect on the hair. Protein, vitamin D and vitamin B5 are there in dairy products. These vitamins help to get rid of unpleasant dry dead cells falling from the hair. However, not enough to know what foods are preferable. It is also important to know what foods can provoke the disease. According to studies, the sugar and simple carbohydrates can aggravate this problem. So it makes sense to reduce the consumption of sweets to control dandruff. 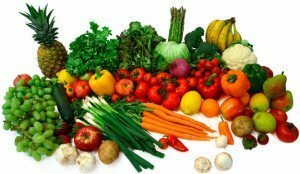 Warning: When you analyze and change your diet make sure that your diet is balanced and you get all needed vitamins and minerals. Do not concentrate just on one type of products. 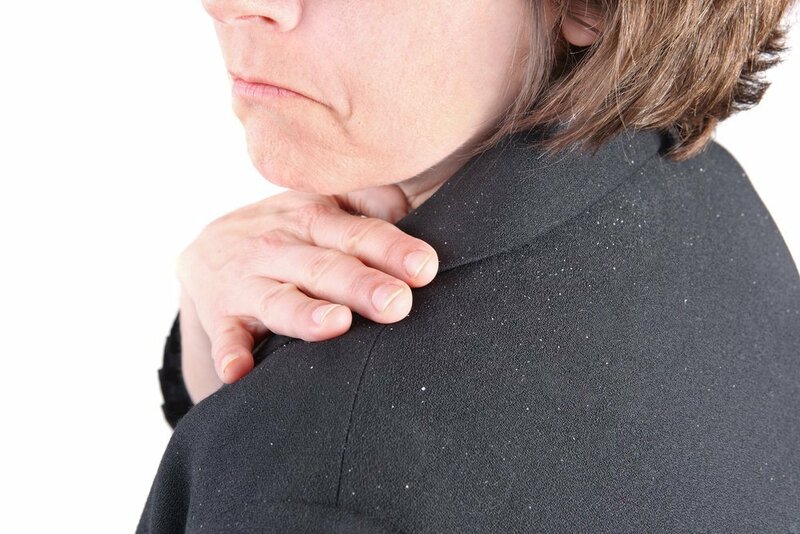 Lack of vitamins can cause even worse problems than dandruff. 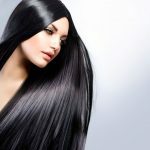 Cosmetics can even harm our hair that is the reason to experiment and create usual types of cosmetics for hair at home. Homemade conditioner is the simplest thing to prepare and cheapest. Ingredients: half glass of warm water and half glass of apple cider vinegar. Mix vinegar and water together in the cup or glass. Wash your hair as usual using your everyday shampoo. Put all apple cider vinegar water on your hair and with massage movements spread it on your scalp and hair roots. Leave apple cider vinegar on your hair for approximately 2-4 minutes and wash it off with warm water. Such conditioner can be used once a week. You will feel when you need to repeat the procedure. Apple cider vinegar is fighting against reason of the dandruff. 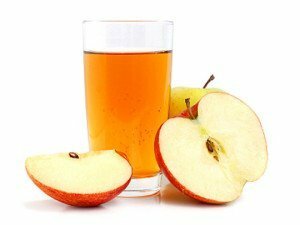 Apple cider vinegar is getting rid of dead dry scalp cells. First step: we need 2 tablespoons of fresh lemon juice to spread on the hair roots. Concentrate on the roots and not on the hair as the problem is in the hair roots. Leave juice on the scalp for 1 minute (not longer than for 1 minute as your skin can start irritate). Second step: We mix in glass of water one tablespoon of lemon juice and rinse our hair with such conditioner. Our purpose now is to wash off concentrated juice from our roots. Such remedy can be used on the daily basis till you will completely get rid of dandruff. 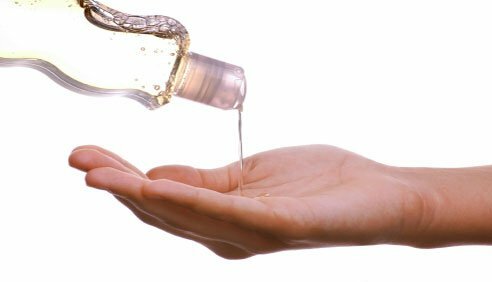 Warning: Do not use apple cider vinegar method before meeting or in some small shower cabin because of its smell. But smell will soon disappear. There is no need to use any additional solutions against smell. All options from shops (shampoos against dandruff) should be used 3-4 times a week for 2 weeks. In case you are using shampoo as a preventive remedy it can be used once a week. Shampoo should stay on the hair 8 or maximum 10 minutes. Otherwise there will be no visible effect. Usually we use incorrect shampoo. Just buy correct one. Shampoo should be based on natural oils and contain enough of protein. It can contain lauryl sulfate (this ingredient can either heal or worsen the situation depending on your personal sensitivity and allergic reaction). Best possible way is to get shampoo prescribed by the doctor. There is one more possible solution you can prepare shampoo at home. Such shampoo will be completely organic and oriented on our disease. Mix yolk and white of the egg in warm water. Implement it on the wet hair and wash hair with this shampoo. After procedure use same natural conditioner. Lecithin and amino acid in the egg protects hair and eliminates dandruff. This is great recipe for the damaged hair. How to make your own natural lip scrub at home, the simplest recipes and the most useful tips.